People have become progressively busier throughout time. Why is anybody's guess. What is clear is that devices that work for us are becoming more and more popular. The Fitbit with its automated workouts and coaching, right from your wrist. Smart scales, automation and more. One particular device has stepped into the spotlight recently, and with it, the personal assistant. 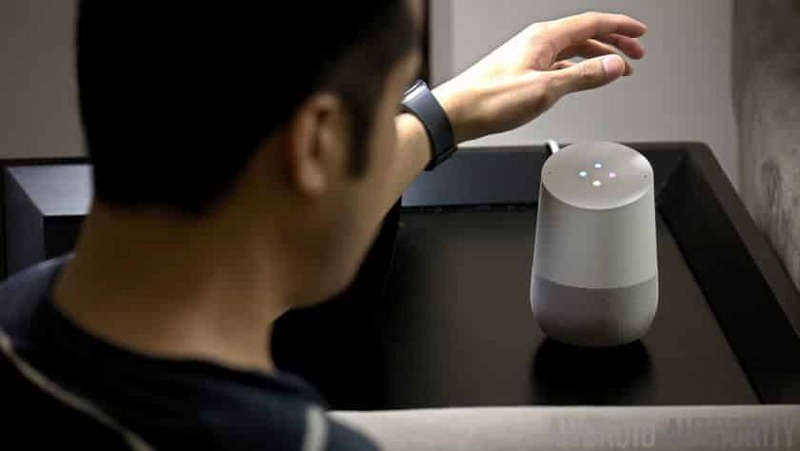 The Google Home is a speaker that you simply place anywhere in your home, like a table or a desk, and it allows you to talk to it in order to carry out all sorts of tasks. Setting alarms and timers, telling you stories when you say "tell me a story", setting reminders and even calling your friends are just a few of the things that the Google Assistant can do. It's true that these are all things that you can do manually, but it's so much easier when you can simply use your voice. So what else can the Google personal assistant and the Google Home do? Find out in the breakdown. Read you the news and tell you about the weather. Voice match is a feature that exists both in your smartphone and in your Google Home Device. What is Voice Match? Well, it's a feature that allows your device to recognize when you are talking to it vs when someone else is talking to it. Here's how it works. Voice match on a smartphone like the Galaxy S9 or the Google Pixel allows your phone to recognize when you are talking to it, allowing it to better hear your voice from a crowd plus one special feature. Voice Match allows you to unlock your device when it recognizes you saying "Okay Google". Unlocking your phone with Voice Match means that you can perform tasks with your smartphone like controlling your lights, send a text message, do a Google search, solve a math equation and more, all without touching or even looking at your phone. Since the Google Home works pretty well with multiple accounts through the Google Home app, Voice Match adds some additional features that make accessing your media libraries, as well as your contacts and other personal information from your Google Home pretty easy. In the Google Home app, you can enable the Voice Match setting, this will mean that when you talk to your Google Home, instead of seeing you as a generic user, it recognizes that you are you and pull contextual clues from your contacts, Play Music library, subscriptions, apps and more. One of my favorite and probably most used features of the Google Home is its ability to interface with Chromecast, as well as smartphones, to do what Google ​​calls "casting". Casting is a feature that has been around for a long time now. For years you have been able to take content from your phone or even a chrome tab, and transfer that content to your TV with just the press of a button. Since the birth of the Google Home, casting has been expanded to include a whole range of new features. Those features include casting from your phone to your Google Home and casting from your Google Home to your TV. When casting from your smartphone to your Google Home simply choose an audio app that has casting abilities. You will be able to tell if it does by the icon of a square with a signal coming off of it in the top corner of the app. Don't worry though, chances are that your app with be cast ready. From here you simply pick your Google Home from the list and that's it, your Google Home will begin playing your music. It should also be noted that you can skip the song, go back, pause and play with your voice by saying "Hey Google" to the Google Home once your phone has been connected. Casting from your Google Home to your television is probably the most satisfying thing that you can do when you are trying to relax. With your Chromecast device connected to your Television, simply tell the Google Home to turn on the TV. From there just tell the Google Home what show you want to watch from a supported app like Netflix and watch the magic of hands-free television unfold before your very eyes. If you have a Google Music subscription (which also gives you Youtube without ads for $10/month), you are able to tell your Google Home to play specific songs, artists, and playlists. This is awesome if you are invested in the Google ecosystem because it's likely that you already have a Google Music subscription. If you don't have a Google Music subscription you will still be able to use it but in a more limited way. You will be able to ask for artists and songs but Google will only play stations based on your selection and you will have intermittent ads. This reminds me of Pandora and it is still a fun way to listen to music, although if you've ever tried Google Music I suggest giving it a try. If you have a radio that you are trying to replace, well, you're in luck. 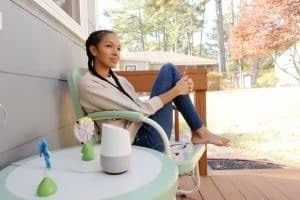 With the Google Home, you are able to play radio stations just by saying "Hey Google, play 107.7", or whatever station it is that you are trying to listen to. If you tell Google to read you the news it will bring up the latest news from Google Search and deliver it to you without you so much as lifting a single finger. This is great for those who want to get things done in the morning without having to work for it or if you just want to hear the news as you make breakfast and coffee. Either way, it's a convenient feature if you are someone who wants to keep up with current events. You can also ask Google to tell you the weather, either for today or some point in the near future. This will help you determine if you will be needing an umbrella that week. If you like to cook or are looking for a replacement for your old alarm clock then the Google Home is for you. You will be able to set multiple alarms and timers so that you are always on time for anything. I personally use the alarms the most often because it replaced my old alarm clock. I like the Google Home because you can say something like "Hey Google when is my next alarm" and it will tell you. You can also set multiple timers so that you can keep track of more than one thing at a time. With a Google Home, the world of smart appliances are at your fingertips, or, more accurately, the tip of your tongue. Personally, I have been using the Philips Hue smart bulbs and it's definitely spoiled me. With smart bulbs, you simply replace the standard bulbs in your house with your preferred brand of Google Home compatible bulbs and follow the directions for setting them up. After setup, you will want to open the Google Home app and add them to your home as well. From there you can start using your voice to control your lights. Simple phrases like "turn the lights on/off" and "dim the lights to 30%" will grant you lots of functionality. You can even control specific lights and rooms. If you have color lights you will even be able to adjust the temperature and color of the lights in your house by saying phrases like "turn my lights purple". It's not just smart lights, however. Google Home and Google Assistant ​​are compatible with cameras, vacuums, door locks and hundreds of other smart switches and smart home products that you can control with your voice. Have you ever been searching high and low for your smartphone, looked everywhere in the house, under the couch, on the table, and just can't seem to find it? You call it, only to find out that it's on silent. This is a problem that Google Home has solved, provided that you take some steps beforehand. If you set up the Voice Match feature on the Google Home you will be able to ask Google to find your phone for you. Google will then ring your phone regardless of whether or not it is on silent. If you have multiple devices like I do, Google will go through the list until it gets to the one that you want. For a person like me who is always putting their phone on silent and then leaving it places in my house that I will never remember, this is probably another one of my most used features on the Google Home. Audiobooks have become more and more popular as time goes on. 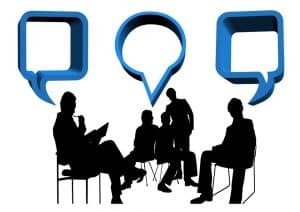 They're convenient, easy to listen to in the car, at breakfast or really anywhere that you are doing something that doesn't require a lot of thinking. Amazon ​​has had audiobooks for some time and devices like the Kindle ​​and the Kindle Oasis ​​have audiobook support through Bluetooth. The Amazon Echo ​​gets audiobooks through Audible and now the Google Home gets audiobooks through Google Play Books. There are pros and cons of course. Amazon has a larger selection of books to choose from because of their roots as an online book retailer, for example. One thing that Google brings to the table is that you don't need to have a subscription that you pay monthly for. If you like the occasional audiobook but you aren't an audiobook fiend, you will feel right at home with the audiobooks on the Google Home. Do you put your keys down in random places when you get home? If so than Google has a solution for you. With the Google Home, you can say "remember that I put my keys on top of the fridge", or wherever you put them, and Google will store that information so that when you later say "where did I put my keys" it will tell you that you put them on top of the fridge. Thankfully Google hasn't gotten smart enough to tell me that I need to make better life choices but that's neither here nor there. Do you remember having a landline phone? It's a separate phone that you just leave in your house and you only give the number to telemarketers so that it never stops ringing. It's also useful if you have children or elderly parents and want to make sure that they have access to a phone that's easy to use. Google has tackled this as well with the ability to make calls. Your smartphone will need to be connected to the same WiFi network as the Google Home but as long as it is you can dial from your contacts or just say a number and Google will put the call on speakerphone for you. It's a fun feature that I've used a few times when I was washing dishes or cooking and didn't want to pick up my phone with my messy hands. Google can now be your personal math tutor with the ability to solve mathematic equations! Since I'm not the best at math I am always asking Google to solve equations for me and it works really well. Simply say "hey Google what's 10*17", or whatever problem that you are trying to solve, and Google will spit out the answer immediately. Are you looking for a better word for a blog article, email or text message? Google has you covered with the ability to use the Google Home as a thesaurus. Let's say that you used the word 'running' but you want something fancier. Just ask Google "what's another word for running" and it will give you options. This is a really handy feature for those like me who write every day and don't want to be opening a bunch of tabs on their computer or phone just to as a question. The Google Home is a Jack of all trades. At its most basic level, it can replace your alarm clocks, timers, radios and in some cases house phones. It can solve a lot of your day to day problems like where you put your phone and keys. It can even solve math problems for you. But Google Home is so much more than that. It's your smart hub for all of your connected devices as well. Should you buy a Google Home? 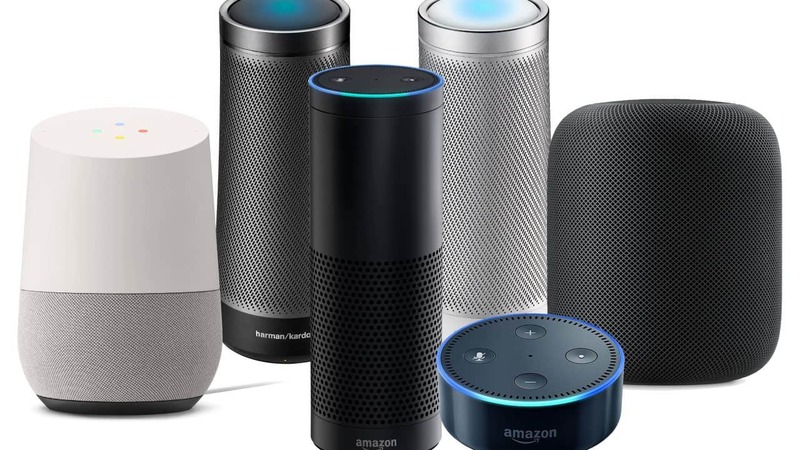 If you are in the Google ecosystem and you want to add a smart speaker, or even if you want a smart speaker and just don't know much about them than the Google Home is a good place to start. It's easy to set up, easy to understand and for the most part, it's pretty accurate. If you have kids, they can ask it questions all day and you don't even need to worry about screen time or them getting into anything that they shouldn't. 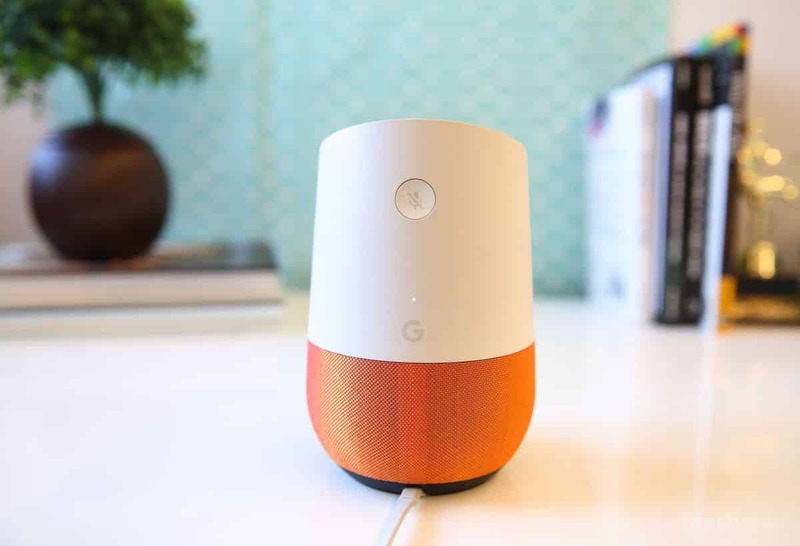 There are several options available now but I think that the Google Home is one of the most user-friendly smart speakers out there and you can't really go wrong with purchasing one. Now it's your turn! What do you think about smart speakers and smart-home gadgets? Does it all seem like too much or do you already own one, or even a few? Let us know in the comments and if you have additional questions we would love to hear from you!